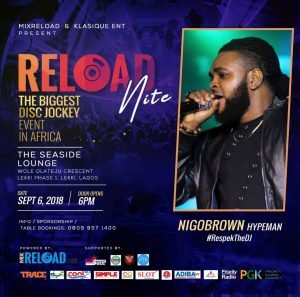 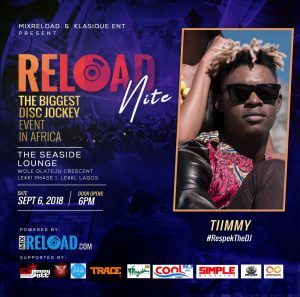 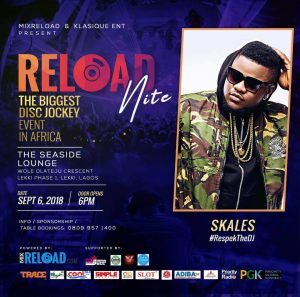 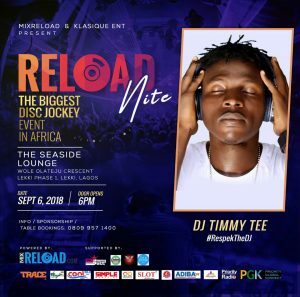 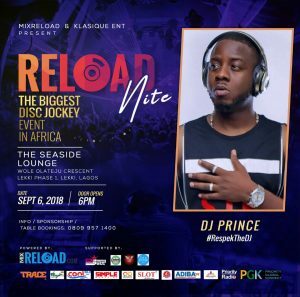 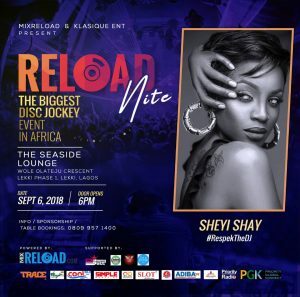 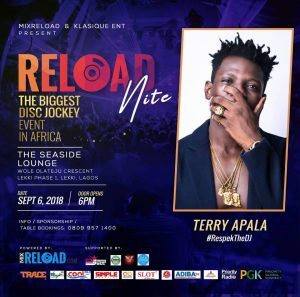 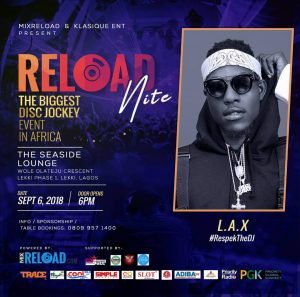 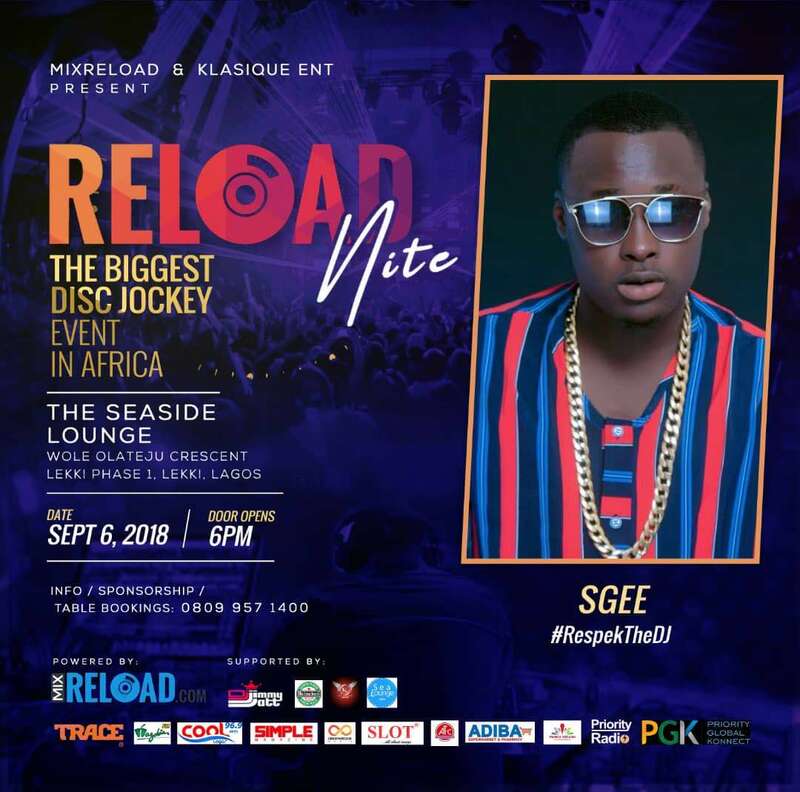 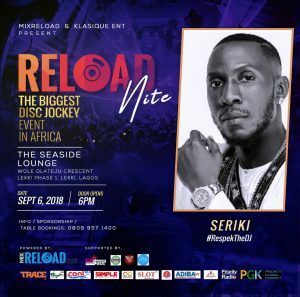 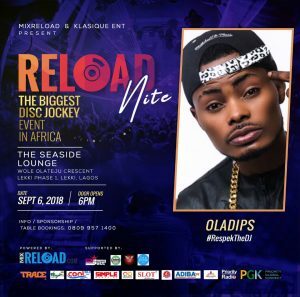 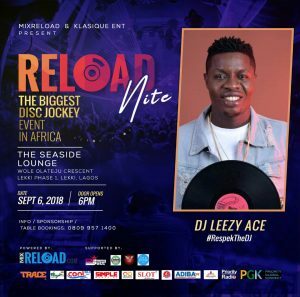 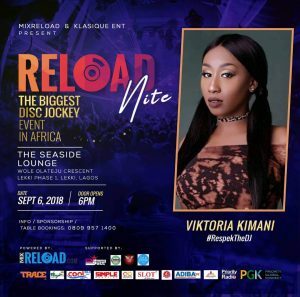 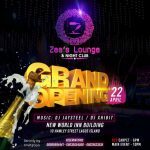 The biggest disc jockey event in Africa; Reload Nite holding at Sea Lounge (15B Wole Olateju Street, off Avalon House Road 12, Lekki Phase 1). 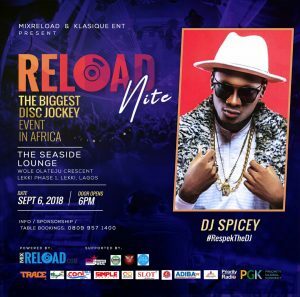 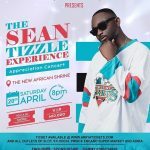 The purpose of this event is to showcase the artistic DJs in Africa, while providing an engaging platform for aspiring DJs, Artistes and other talents that add to the entertainment space in Africa. 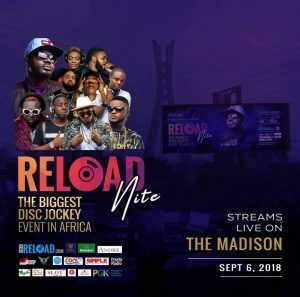 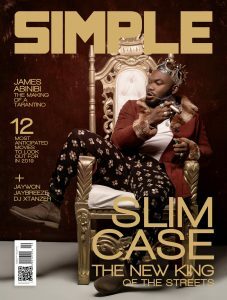 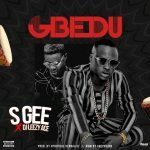 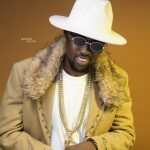 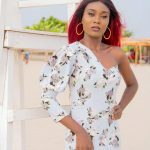 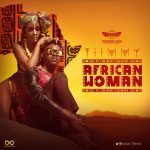 The Headline of the maiden edition is the Legendary DJ Jimmy Jatt featuring several premium DJ’s and Artistes; Skales, Victoria Kimani, Seyi Shay, LAX, YQ, Teniola, Junior Boy, S Gee, Tiimmy, Nigobrown, DJ Prince, DJ Spicey, DJ Hazan, DJ Mondollar, DJ Xtanzer “UK”, DJ Kulet, DJ Timmy Tee, DJ Leezy Ace, Dj Khoded and many more.